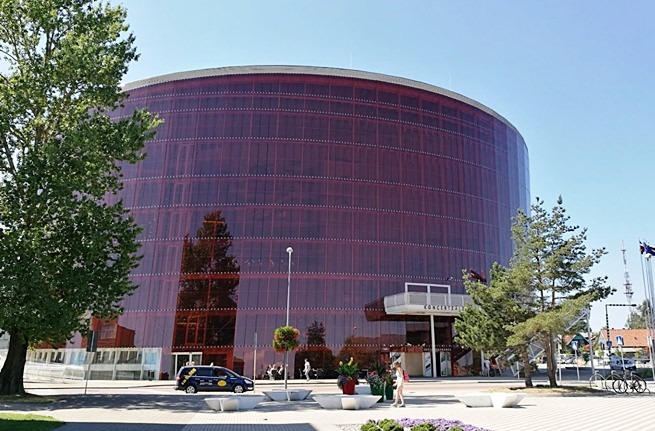 As well as home to the Liepāja Symphony orchestra, Emils Melngailis Liepaja Music Secondary School and to the concert hall’s manager and creator of the programme – „Lielais Dzintars”, Ltd. 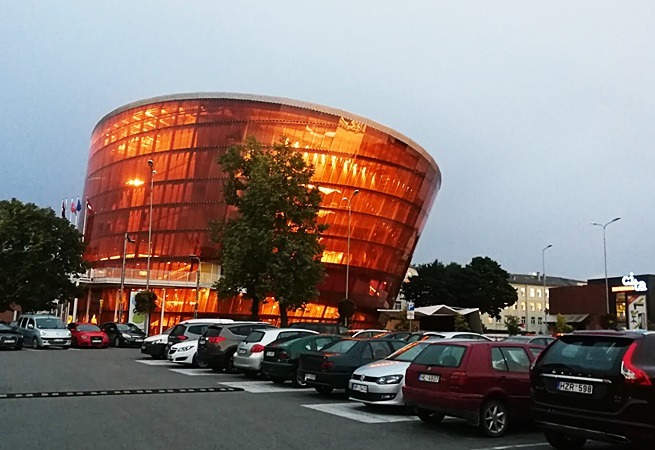 The concert hall „Great Amber” comprises eight stories of 14’126 m². It has three concert halls – the Great Hall with 1010 seats. 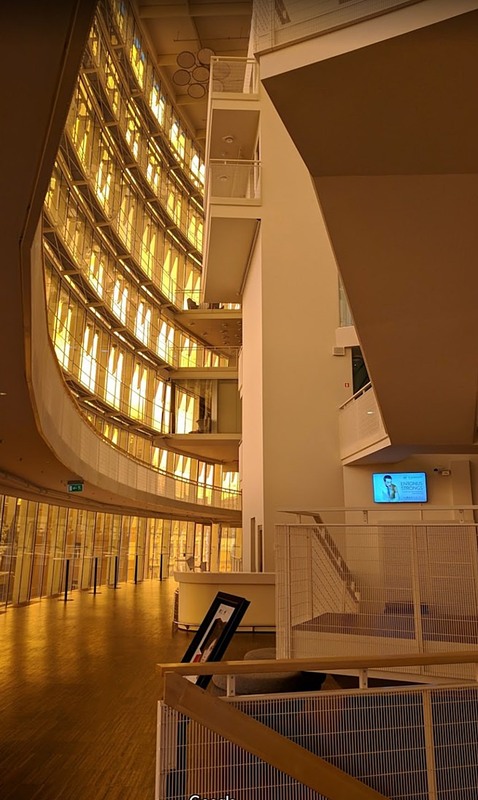 The Chamber Hall with 200 seats and the Experimental Stage with 150 seats, in addition to public events spaces Civita Nova, a coffee shop and a restaurant. 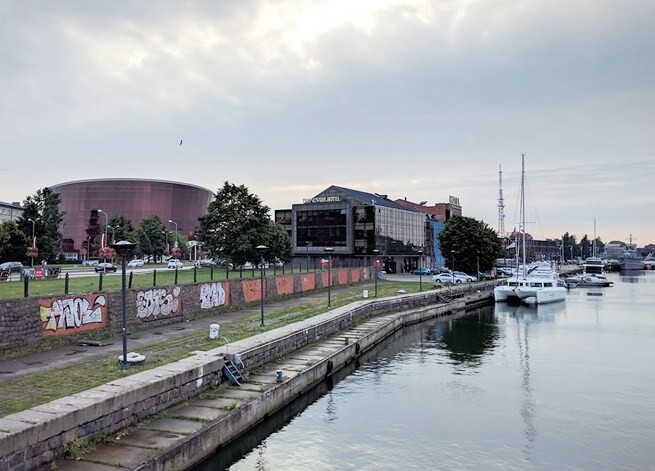 At the basis of the architectural concept of the concert hall, created by the excellent Austrian architect Prof. Volker Giencke, lies amber – the symbol of Liepāja and the Baltic Sea, as well as the concert hall’s function as a cultural and arts centre. 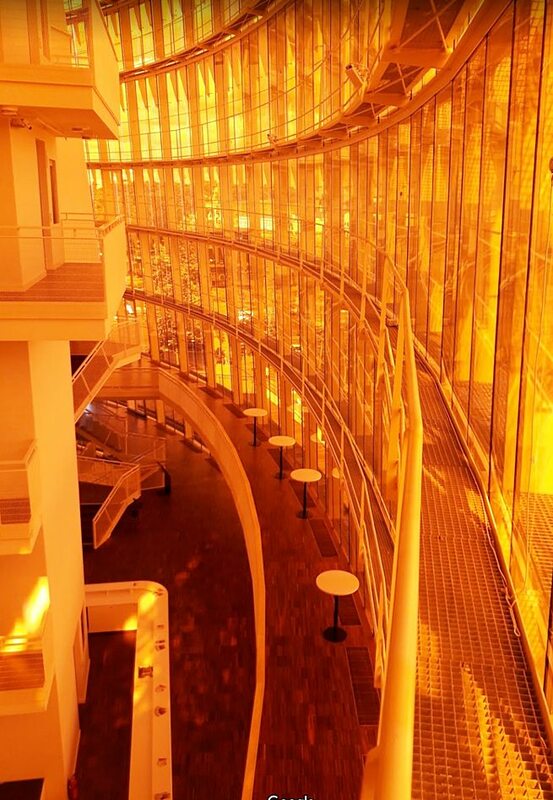 Thus, its architecture is a portrait of music, frozen in time and in amber. 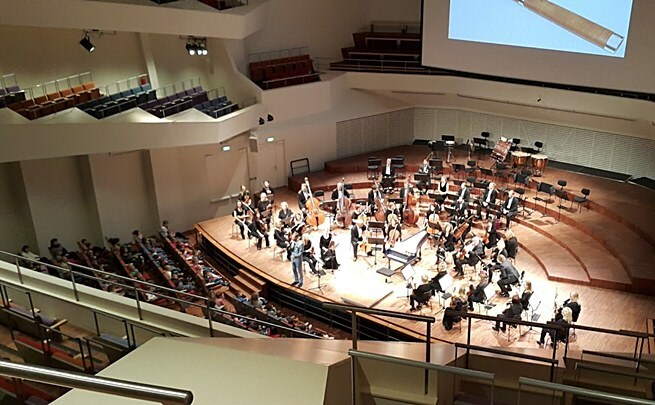 Its acoustics have been created by world leaders in their fields – Prof. Karlheinz Müller of Müller BBM, Germany, and Prof. Christian Bartenbach of Bartenbach, Germany, respectively. The city of Liepāja is like a lagoon, located between the Baltic Sea and the Liepāja lake. It is the third largest city in Latvia and its capital of music. 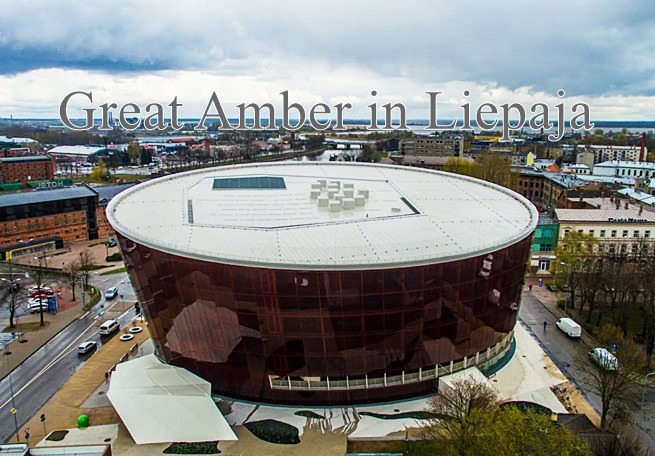 Seems only natural that it now also has its own „Great Amber” concert hall. 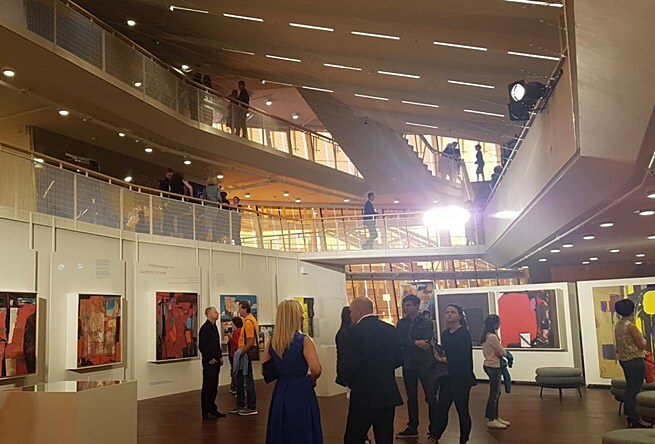 Modern premises are perfectly suitable for high art and culture events, conferences and corporate activities. Every Sunday, at 14.00 o’clock, a guide with a red and green flag of Liepaja city will wait near the “Great Amber” information centre for everyone willing to go on a 1.5-hour long walk in the old town of Liepaja. 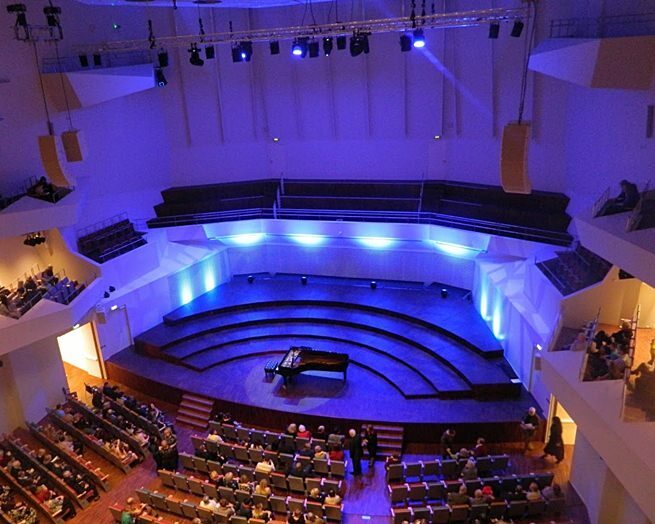 The excursion will begin with the concert hall. During our walk we will look into the past of Liepaja city, study the Art Nouveau architecture, and enjoy the beauty of the city. The proposed routes will change according to the seasons and events in the city. Previous Previous post: Problems With Amount Of Male Hormones.